Most people are fairly familiar with olive oil. It’s common in salad dressing, pasta dishes and cooking in general. However, olive oil is so much more than a simple ingredient that you toss into a recipe. It is a complex ingredient that holds many secrets, many of which will surprise you. A deep look into olive oil benefits will reveal details and facts that will make you never look at olive oil the same way again. Olive oil is exactly as it sounds—oil extracted from olives. Olives are harvested from olive trees then washed and crushed between large stones or stainless steel blades (stones were the original methods of processing olives while steel is more commonly used today). The crushed olive paste is then quickly spun to extract the oil and water and finally, the water is removed leaving behind just the oil. The resulting oil from this process is a monounsaturated liquid fat that is commonly used in cooking. However, it also has many other applications (cosmetics and pharmaceuticals are a few examples). How olive oil is created is simple enough and the practice has a very deeply-rooted history. Time to go even further into the world of olive oil! Olive trees originated in the Mediterranean basin and wild olives were collected and used as early as 8000 BC. While there is evidence that olive oil was created around 6000 BC, there are olive oil canisters in existence still that are dated from 3500 BC. 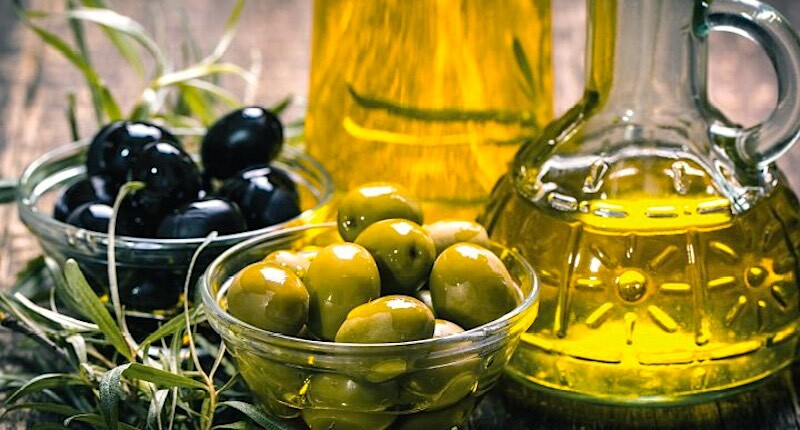 From these early years, olive oil was not only used as a food but also in skin care, medicines, religious rituals and even as fuel for oil lamps. Needless to say, trade of olive oil was also very prevalent and began around 2500 BC. While olive oil has been cultivated for thousands of years, not much has changed in how it is made or used. It is still one of the top ingredients in Mediterranean diets and also widely used around the world in cooking. However, not all olive oil is created equally and there are different varieties and types that have their own specific purpose. When purchasing olive oil, it is good to know what all of the different labels mean. Each categorization of olive oil will tell you a little bit about what is inside that bottle and guide you to make the best purchase for your intent. Time to decode what those olive oil labels really mean! When an oil is refined, this means it has been chemically treated to hide imperfections in the taste. If an olive oil is too acidic or bitter, it may be processed through charcoal, other chemical filters or simply with very high heat to make the oil taste smoother and more appealing to consumers. It is estimated that at least 60% of olive oils currently being made are refined due to poor quality. This process enables olive oil producers to use olives that are not in the best condition and turn them into a usable product. Refined olive oil, thus, tends to have very little taste. Olive oil which has been labeled unrefined is the product in its purest form. Oil is extracted, bottled and sold—simple as that! In order to make unrefined olive oil, the olives need to be of the highest quality as there will be no chemical alterations to improve upon the taste of the oil. As you may guess, unrefined olive oils tend to be pricier than their refined counterparts. Virgin olive oil is an unrefined olive oil that may have a few flaws in its taste. It has not been treated with chemicals and but meets lower standards in aroma and flavor. Extra virgin olive oil is also unrefined and has the best flavor and aroma. To meet this categorization, olive oil must meet the highest standards and pass certain tests of chemical composition and sensory standards. Extra virgin olive oil has no flaws in taste, color or fragrance and is more costly to produce as the olives themselves must also be flawless. Therefore, extra virgin olive oil is the most expensive variety available. “Pure” may be misleading as pure olive oil is really not “pure” as we understand the word. Pure olive oil is a mix of refined olive oil along with a small amount of virgin olive oil. As it is mainly refined, it has little to no taste, and is best used in sautéing or as part of a cooked recipe—it is not ideal for dressings where a more robust olive flavor is desired. Light olive oil is similar to pure olive oil in that it is a mix of refined oil and virgin olive oil. Light olive oil contains mostly refined, however, and is therefore light in color as well as taste. In recent years, the label “light” has been made to appear as though this oil is lower in calories which is untrue. Light olive oil is merely pale and very subtle. Choosing the best olive oil should be a straightforward process, but you may be surprised at how many fake or misleading olive oils are out there. So how can you avoid purchasing a counterfeit oil? What Does A Good Olive Oil Taste Like? A good olive oil made from quality olives has a thin texture, pleasant aroma with an aftertaste of peppery spiciness and pungency with slight bitterness. This flavor can range from delicate to intense, depending on the olive variety and ripeness. As the olive oil age, it will become mellow, softer and milder, but still with the pleasant aroma. On the other hand, refined olive oil will have virtually no aroma nor flavor. Olive oil made from low quality olives may have unpleasant aroma that leaves a bad aftertaste. Olive oil that is too old will taste rancid, like stale nuts and have a repelling smell. Begin by reading the label carefully. True olive oil should be made with olives and no other ingredients. A label with soybeans, seed oils or any other ingredients should not be purchased when you are seeking the real thing. Look for a harvest date or the name of a specific olive mill to ensure your oils authenticity. The more information about the product the better! Certification seals are also a great way to tell if an olive oil is real. The California Olive Oil Council or the European Union’s Protected Designation of Origin are two great sources which will put their stamp on true olive oils. It may surprise you but, any olive oil from Chile or Australia are guaranteed to be of the highest quality as these countries have the strictest standards for their olive oils. 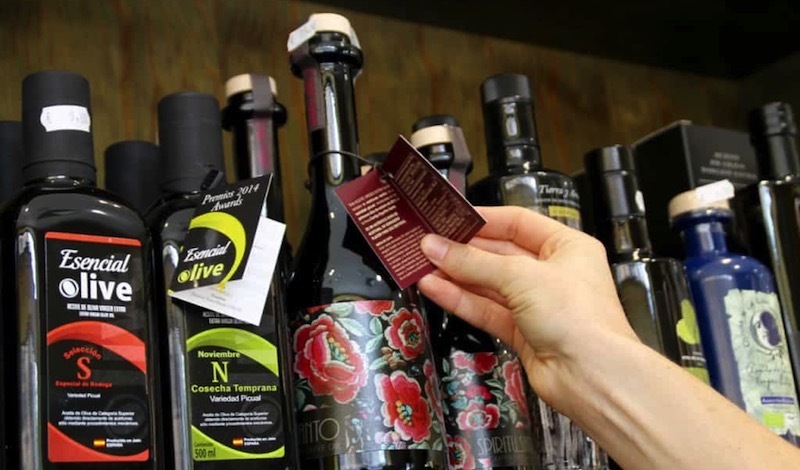 When purchasing olive oil, don’t be fooled by fancy packages as anyone can make a fake oil look fancy by disguising it in a nice bottle with a pretty label. It is best to just read the label and look for real information on the label to ensure your oil is real and of quality. The best way to consume olive oil is to use extra virgin, unrefined olive oil straight from the bottle. Drizzle it on salads along with vinegar for a fantastic salad dressing, or drink a spoonful right from the bottle (see the benefits of drinking olive oil below!). As mentioned previously, the extra virgin versions are best when consumed raw and uncooked. If you would like to cook with olive oil, you may use a lower grade, but keep in mind that olive oil in general has a lower smoking point than many other oils. This means it will begin smoking faster than say, coconut and avocado oil. The lower smoking point means that it may impart an objectionable taste and aroma to whatever you are cooking with the oil. To avoid this, cook olive oil over medium heat and avoid heating it quickly. Definitely don’t use olive oil for deep-frying. Olive oil can go bad or rancid if not stored properly. This can happen especially quickly when stored next to a stove where it is hot. Being kept in direct sunlight (at the window) will also make olive oil go bad quickly. Good olive oils are usually bottled in dark, glass bottles to keep the light out. In order to keep olive oil fresh for as long as possible, store it from bright lights and heat. While olive oil is best kept in a cooler place, it does not necessarily need to be refrigerated. So why should you incorporate olive oil into your diet? Well there are many reasons, some of which may surprise you! Olive oil benefits are all thanks to its rich, natural antioxidants that can help fight inflammation as well as diseases! Chronic inflammation has been linked to cancer, cardiovascular diseases, diabetes, Alzheimers disease and arthritis. Consuming raw olive oil regularly has been shown to help inhibit all of these diseases through the almost magical powers of antioxidants. Antioxidants can also help prevent the cholesterol within the blood steam from oxidizing which in turn reduces the risk of heart disease specifically. Oleocanthal is the antioxidant in olive oil that receives the most praise as an anti inflammatory. Three tablespoons of olive oil is said to be as strong as a 10% dose of ibuprofen. Pretty amazing that a natural oil can do this! Extra virgin olive oil has antibacterial properties that are especially beneficial for gut health. Most notably, olive oil is resistant to the bacteria Helicobacter pylori that lives in the stomach and can cause stomach ulcers or cancer. Olive oil can help control this bacterial in a way that other antibiotics can not. Olive oil has been proven in studies to help prevent strokes. The monounsaturated fat may aid in helping blood flow to the brain and decrease the chance of a stroke. As strokes are the second biggest killer in developing countries, a natural solution such as olive oil is a widely studied and popular preventative. 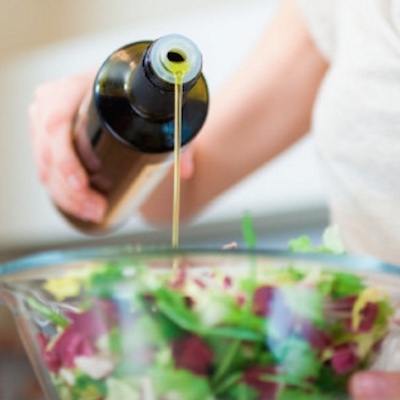 Contrary to the belief that eating fats can cause obesity, consuming olive oil can actually help with weight loss. In fact, the antioxidants in olive oil are what can help with weight loss and no studies have ever been able to directly link olive oil to weight gain. Olive oil can reduce the risk of type two diabetes and the effects of olive oil on diabetes has been the subject of many clinical studies. One study showed that consuming olive oil along with a Mediterranean diet actually reduced the risk of developing diabetes by 40%! High consumption of olive oil has been shown to help with bone mineralization as well as calcification. By aiding in calcium absorption, olive oil helps those who suffer from osteoporosis and can inhibit the disease from occurring as well. Olive oil is known to aid in digestion and has been used in a medicinal way to clean the digestive tract and promote bowel movements. While olive oil cannot completely turn back the hands of time, it certainly does help to delay aging! Not only do the antioxidants help slow the aging process but olive oil is also great topically on the skin as a moisturizer and to give your skin a natural glow. Now that you are an expert in assessing olive oil, go out and get a bottle! For all those amazing olive oil benefits, don’t be afraid to use a little more!